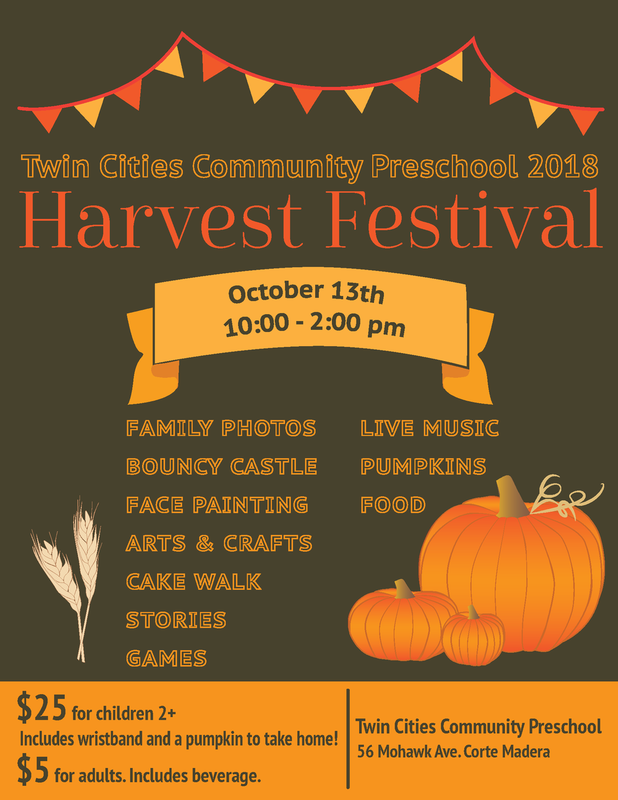 Twin Cities Community Preschool ("TCCP") in Corte Madera is hosting it's 2018 Harvest Fest this year on Saturday, October 13th from 10 AM - 2 PM. There will be tons of entertainment (including James K and Scott the Storyteller! ), family photos, face painting, a bouncy castle, amazing food, and much more. Each child will get to decorate and bring home a pumpkin too at this fantastic Fall family event.